Alyssa Manning. Photo by Robin Hart Hiltz. Not every punk-rock high school dropout grows up to become a refugee lawyer, but Toronto-based attorney Alyssa Manning isn’t exactly ordinary. Barely into her 30s, Manning has made a professional niche for herself by working with U.S. war-resister files, defending such high-profile clients as Jeremy Hinzman, James Corey Glass, and The Deserter’s Tale co-author Joshua Key—American soldiers seeking sanctuary in Canada because of their refusal to serve in Iraq on moral grounds. 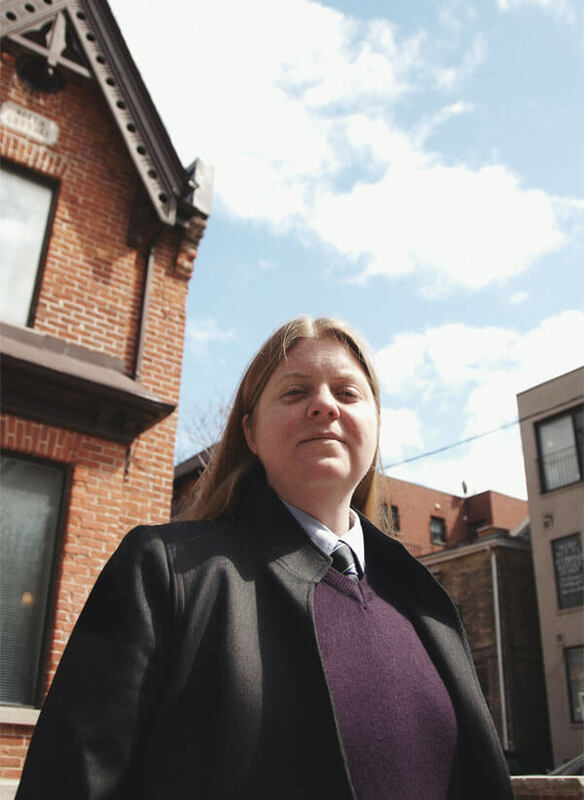 As a sharp street kid in Kingston, Ontario, a city of seven prisons, Manning observed glaring flaws in the Canadian justice system through her daily interactions with on-again, off-again inmates. This spurred an interest in criminal justice, and eventually led her to law school. It was a placement at Parkdale Community Legal Services in Toronto that ultimately steered her toward immigration and refugee law, where one of her first files happened to be a war-resister case. “It was sort of an intersection of a couple of different things that I’d studied in my past,” says Manning. Her interest in the criminal justice system—which is, for civilians, what the court-martial system is for military personnel—was an added bonus. The reason, Manning explains, is the United States’ outdated court-martial system that refuses to hear testimony of human-rights violations on the ground in Iraq in cases of desertion. In other words, war resisters have little choice but to flee to Canada to avoid imprisonment and, arguably, to receive a fair trial. As such, Manning believes the deportation of war resisters results in a violation of both Canadian and international law. Judith Parker Then: This Magazine publisher, 1996–2001. Now: Graduate of Osgoode Hall Law School and public sector lawyer. Kelli Korducki is a former This Magazine intern and a Toronto-based freelance writer and blogger.